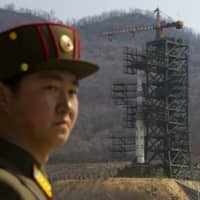 North Korea appears to be rebuilding a key long-range rocket test site it promised to scrap, in a possible sign of its displeasure over the collapse of nuclear talks at the second summit between leader Kim Jong Un and U.S. President Donald Trump, experts say. 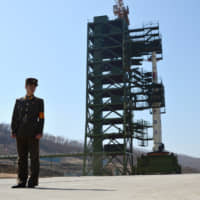 On Tuesday, the Center for Strategic and International Studies (CSIS) and the 38 North think tanks separately issued reports citing commercial satellite imagery showing that Pyongyang had restored part of the Sohae Satellite Launching Station, which it began to dismantle after pledging to do so at Kim’s first summit with Trump last June. 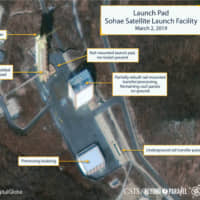 The Sohae facility, which is also known by the name of its location, Tongchang-ri, is the site from which Pyongyang launched satellites in 2012 and 2016. It is also the site of a test stand that the North has used to fire some of its most powerful rocket engines on the ground. The satellite launches were condemned by the international community and widely viewed as thinly veiled tests of ballistic missile technology, including that for use in long-range weapons such as the Hwasong-14 and Hwasong-15 intercontinental ballistic missiles (ICBMs) experts believe are capable of striking much, and perhaps all, of the United States. Experts warned that this could signal that, far from the amicable split both sides have played up, an irate Pyongyang may be using the move to possibly nudge Washington back to the bargaining table. 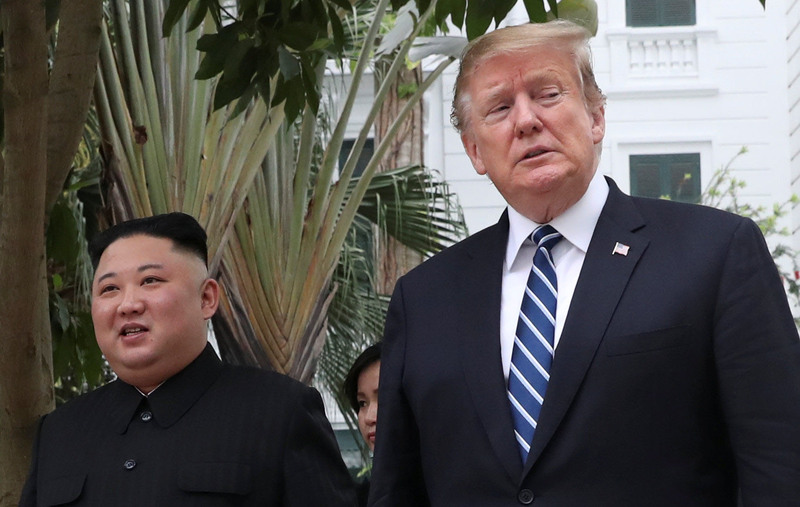 “Coming right on the heels of the Hanoi summit, this reads as an expression of dissatisfaction,” said Joshua Pollack, a scholar at the Middlebury Institute of International Studies and a leading expert on nuclear and missile proliferation. “It’s the sort of thing you might do if you felt that your partner had reneged,” he said. The North’s last nuclear test, in September 2017, was also its sixth and largest. Its last ballistic missile test, of a Hwasong-15, was in November that year. The think tank reports came a day after South Korea’s spy agency said that work on the Sohae site had resumed. The South’s Yonhap news agency quoted lawmakers briefed by the National Intelligence Service as saying that the work involved replacing a roof and a door at the facility. However, 38 North said that the new activity had taken place on both the launchpad and at an engine test stand that the North began dismantling after the first Kim-Trump summit in Singapore in June. That progress was halted around August, but commercial satellite imagery showed that efforts to rebuild these structures began sometime between Feb. 16 and March 2. 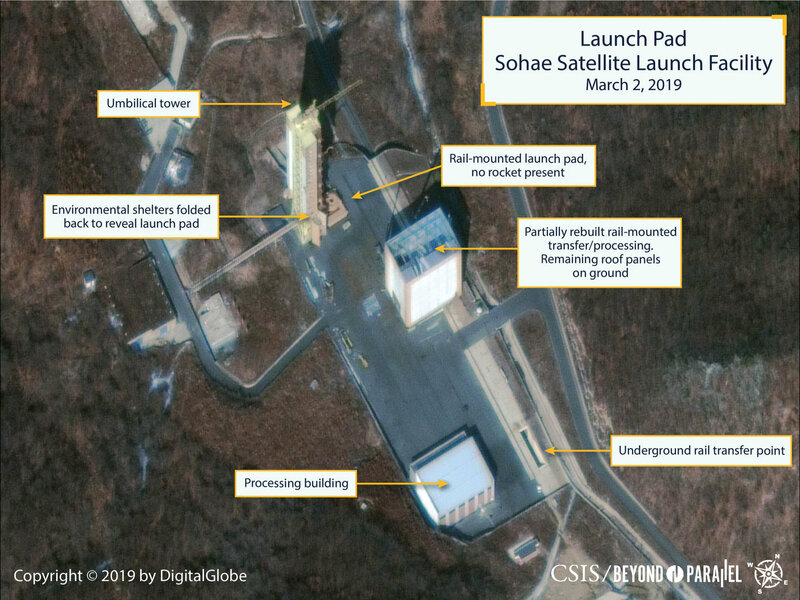 In addition to the work reported by the NIS, 38 North said a rail-mounted missile transfer building was being reassembled on the launchpad, while two support cranes were also observed at the building. 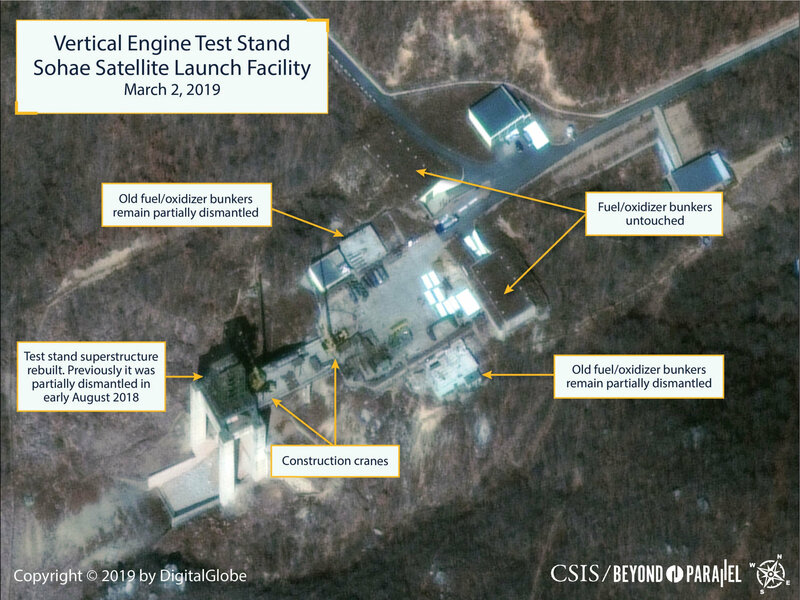 As for the engine test stand, the North Korea-monitoring group said that an engine support structure was being rebuilt, noting the presence of two cranes and construction materials spread across the stand’s apron. New roofs on the fuel and oxidizer buildings, and what appear to be possible trailers, were also observed. In its report, CSIS said that the renewed activity could suggest that Pyongyang is pursuing the “rapid rebuilding” of the test facility after the Hanoi summit. “Significantly, the environmental shelters on the umbilical tower, which are normally closed, have been opened to show the launchpad,” the report added. “Even if they were to launch a space-launch vehicle, this does not mean that they’re further testing tech related to ICBMs,” she told The Japan Times. 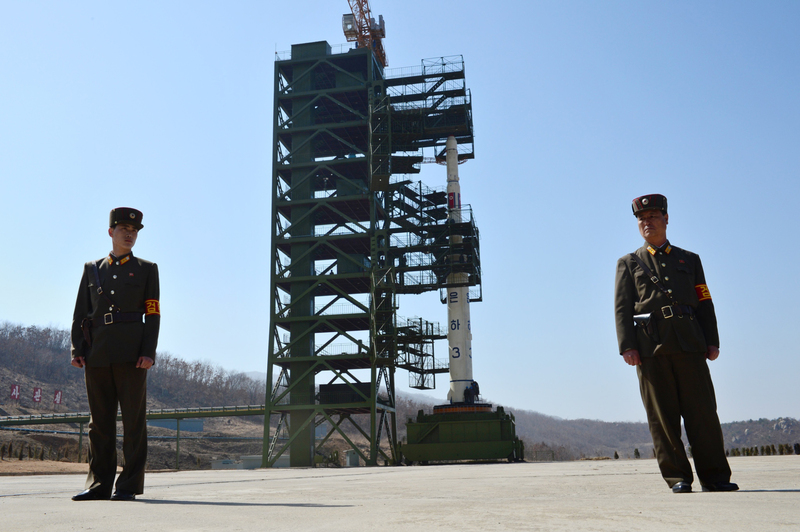 Liu noted that none of Pyongyang’s ICBM launches have occurred at the Sohae site. “It’s possible this activity is part of a longer-term renovation project that has nothing to do with the results of Hanoi,” Liu wrote in a tweet, noting that although Kim agreed to dismantle a launch site, further discussions on the subject have not included the country’s space program. 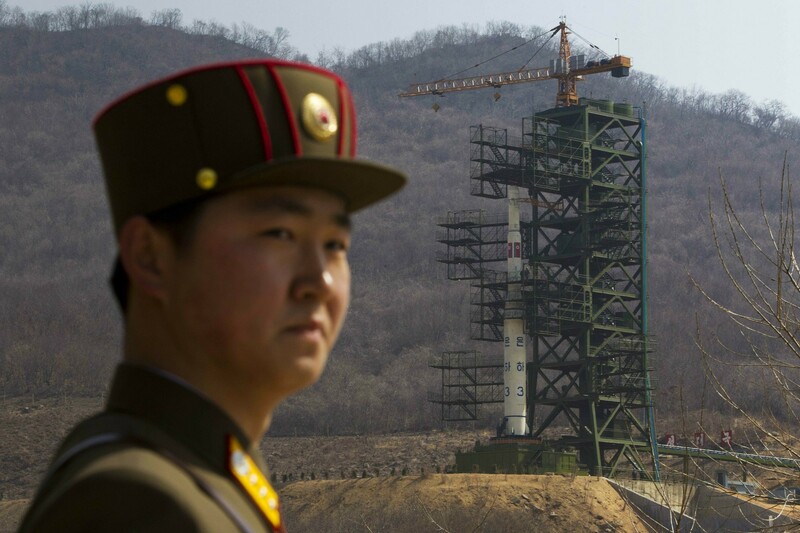 The differences and similarities between the North’s space and missile programs — rockets and missiles share some technology — have long vexed U.S. efforts to rein in Pyongyang’s nuclear program. And the new images conjured up a reminder of 2012, when the North effectively nixed a deal with the U.S. — the so-called Leap Day Agreement under which North Korea would halt operations at its Yongbyon nuclear reactor and allow in inspectors to verify its suspension of nuclear and missile testing in exchange for substantial food aid — after it announced and later conducted the launch of a long-range rocket, ostensibly to put a satellite into orbit, from the Sohae site. Whatever the North’s intentions, the move was likely to capture the attention of the Trump administration, analysts said. “The rebuilding of the static engine test stand is a statement even if they do nothing further with it,” Middlebury’s Pollack said. 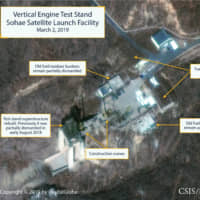 He said that the site’s dismantlement “was the one concrete thing the U.S. came away with” after its Singapore talks, while also noting a September inter-Korean joint statement released by Kim and South Korean leader Moon Jae-in that expanded on the offer even further, complementing the dismantlement with inspections, plus the dismantlement of an unidentified launchpad. “All that seems to be a dead letter now,” Pollack said. He added while he did not believe Kim has plans to revisit his decisions last April to suspend nuclear and long-range missile tests, “he has been conspicuously silent about space launches” going all the way back to January last year. But it could also prompt a strong reaction from the White House. In a possible preview of this response, hawkish U.S. national security adviser John Bolton said Tuesday that the United States would look at ramping up sanctions on the North if Pyongyang did not scrap its nuclear weapons program. The U.S. leader is thirsty for a foreign policy victory after facing scathing criticism over comments last week that he would take Kim “at his word” that he did not know about the treatment of a U.S. student who was imprisoned by the North. That student, Otto Warmbier, was released but died shortly after. However, it is unclear if the limited launch-site activity would prompt Trump to heap more pressure onto Pyongyang and risk damaging his relationship with Kim. “Does this tip Trump in that direction? He’s certainly going to find it to be a humiliating reversal — he was proud of this one,” Pollack said in reference to the halt in missile testing. “But as he said, he can make excuses for Kim,” he added.